Gardens are perfect places to relax on a summer evening; family BBQs, ball games with the kids, or even a couple of hours chilling out with a book. Gardens are wonderful recreational spaces that should be enjoyed to its full potential. But what happens when you have neglected your garden a little too long? Before you know it, there’s unruly foliage everywhere you look, and the path has been swallowed by overgrown grass. Then, it’s time to get your hands on the best cordless strimmer. Which one should you choose? Today, we examine the top 10 strimmers on the market to help you get the right one for your needs. Let’s take a closer look at the list! The Black & Decker 36V Lithium-Ion Strimmer has a powerful battery capable of cutting large areas effectively, without needing a recharge. Tall grass and tougher growth are quickly obliterated using the ‘Turbo’ mode. On the other hand, easier tasks can be accomplished using the ‘Eco’ mode for an even longer battery life. In fact, this model is able to trim up to an astonishing 3,750 metres with a single full charge. Furthermore, the formidable battery is backed up by innovative E-drive technology. Its a high-torque gear system enables this strimmer to tackle dense growth without failing. This is just perfect if you have let your garden grow wild for some time. Overgrown areas are rapidly cut down to size due to the large 30 cm swathe and super-fast cutting speed. 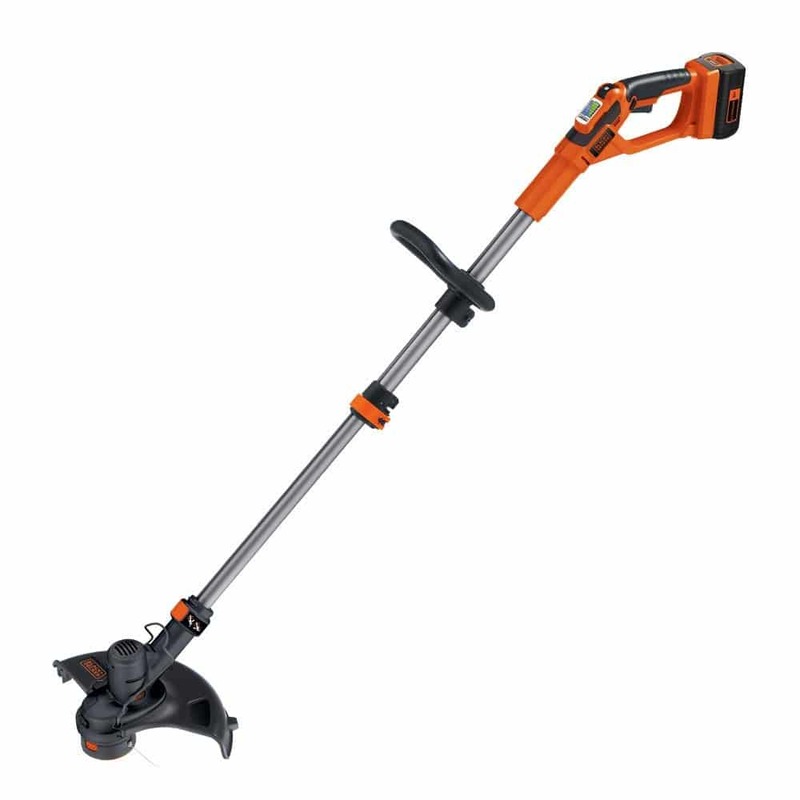 The Black & Decker 36V Lithium-Ion Strimmer is ergonomically designed with a telescopic handle, which provides comfort and ease of use during gardening tasks. 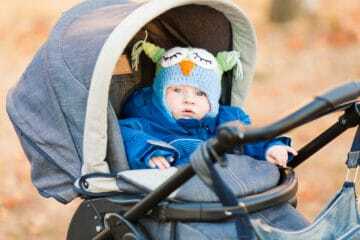 As the head and handle are made from plastic, it is also lightweight, weighing only 3.5 kg. 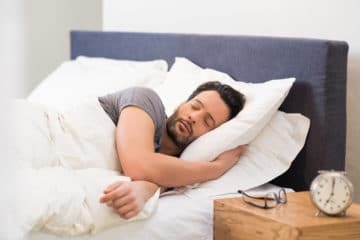 So, it should not cause fatigue for most individuals. However, its design does lend itself to easy wear. You don’t need to worry about manual spool release with this cordless trimmer. The Black & Decker 36V Lithium-Ion Strimmer uses a convenient automatic single line feed system, called “AFS” or “Auto Feed System” which will intelligently release more spool as it is needed. Some users commented that this feature is a little unreliable, though. The Black & Decker 18V Cordless strimmer is a great choice for keeping your lawn under control. 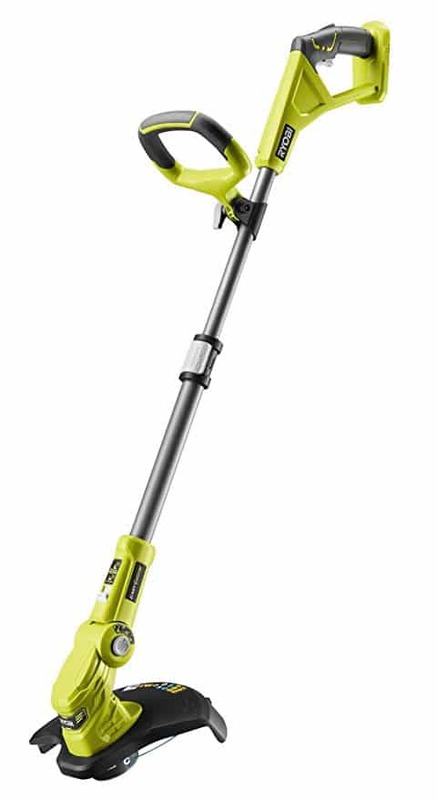 Able to cut up to 2,500 linear metres with just one charge, it is sure to make quick work of stubborn excess growth. 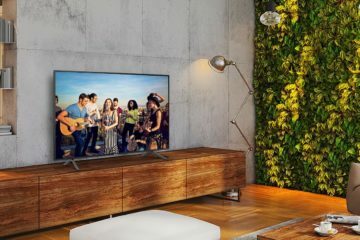 However, some customers have mentioned the battery life diminishes with use, so this is worth bearing in mind if you plan to use it frequently. Just like our previous strimmer, this model also features unique E-drive technology, allowing the user to target tougher vegetation without stopping up the system. 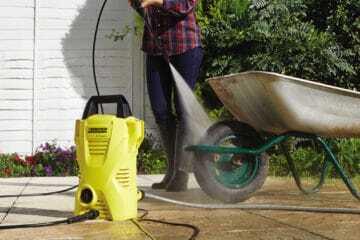 Even so, a few users mentioned that very thick or wet growth posed a challenge to this strimmer. Cutting speed can be set between 5,500 and 7,400 rpm, so the user can easily boost power when it is needed most. Moreover, if you need to tidy up those pesky edges around the lawn, the Black & Decker 18V Cordless strimmer also offers a ‘Trim n Edge’ feature. All you need do is twist the pole to switch between trimming mode and edging mode. This makes creating a flawless looking lawn a piece of cake with only one device. Fiddling about with line cutting is also a thing of the past with this strimmer. Its Automatic Feed System (AFS) recognises if the line is running low or becomes broken, and immediately dispenses more line – without disrupting the flow of your cutting. The Black & Decker 18V Cordless strimmer has a fully adjustable second handle which gives the user better grip and more effective control. Its length can be amended for maximum comfort, simply by twisting the telescopic tube. While this strimmer is ergonomic, some users found it a little heavy. The Terratek 18-20V Cordless Strimmer offers a lightweight strimmer solution to all your trimming woes. Able to quickly and efficiently cut at a width of 250 mm (20 cm), this cordless grass trimmer makes gardening chores a piece of cake. Weighing only 2 kg, this cordless strimmer is light and easy to use for all abilities. 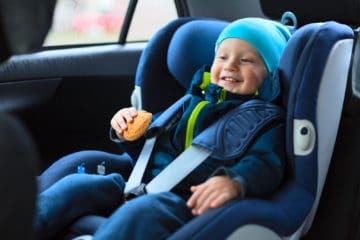 The soft-grip handles also provide additional comfort and convenience during operation. Furthermore, a rotatable shaft allows the user to effortlessly switch between trimming and edging with a twist of the wrist. No additional tools or attachments are required, so you can get on with the task at hand without interruptions. The Terratek 18-20V Cordless Strimmer features a quick-charge lithium-ion battery, which is able to reach full capacity in as little as 3-5 hours. Immediately after charging, the power level reaches an output of 20V, gradually balancing out at a steady 18V after a few minutes of use. However, some customers mentioned that while the battery reaches full charge quickly, this charge doesn’t last particularly long. Unlike many cordless trimmers, this model doesn’t use wire spool for cutting. Instead, the Terratek 18-20V Grass Trimmer uses convenient, snap-on nylon blades, which can be swiftly replaced without causing a frustrating delay to your progress. The nylon blades do require replacing more frequently than a wire spool, though. 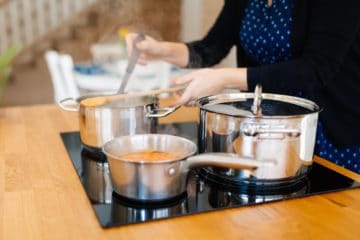 Moreover, some people reported that the blade guard comes off easily, which is a clear safety concern with this product. 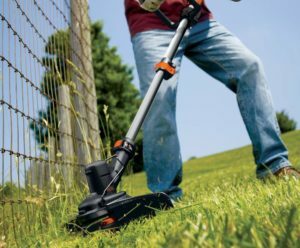 The VonHaus Grass Trimmer/Cutter Cordless has a rotatable trimmer head which can be adjusted through 180 degrees to ensure you get clean edges along fences, lawns and walls. Rated to 20V, the 1.5 a.h lithium-ion battery can reach full charge in an incredible 60 minutes, providing 50 minutes of run time. 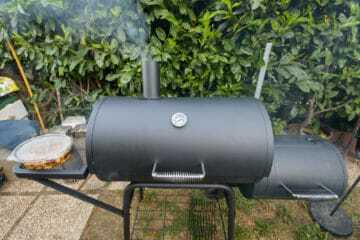 Although some customers said it is a little unreliable and may need replacing frequently. Offering a nylon blade cutting system and a 25 cm cut width, this can make short work of overgrown gardens. Treasured flowers are kept protected from the blades thanks to the built-in safety guard. So, you can have peace of mind that only unwanted vegetation is being targeted. However, this strimmer isn’t particularly effective for heavy-duty growth and can start to wear out quickly with light use. 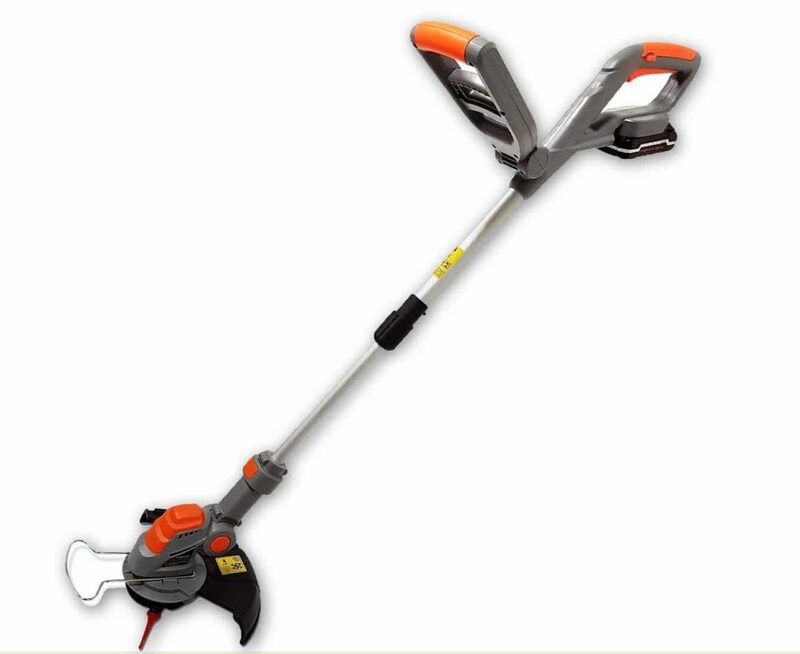 Although lightweight the VonHaus Grass Trimmer/Cutter Cordless is a little bulky in design. Soft rubber grips mean it is comfortable to hold and the low-noise operation makes this strimmer a good choice for busy residential areas. Overall, this is probably the best budget strimmer we have seen. The Garden Gear Cordless Strimmer offers a convenient solution to time-consuming lawn chores. Showcasing a sleek, telescopic design, the length and cutting angle of this strimmer can be effortlessly adjusted to meet the needs of the user. Some customer found this model a little top-heavy, but the aluminium shaft can be lengthened from 95 cm to 115 cm so that taller individuals can avoid discomfort caused by being bent over during use. Providing 20V power and a generous 26 cm width, this strimmer makes quick work of a standard-sized lawn. 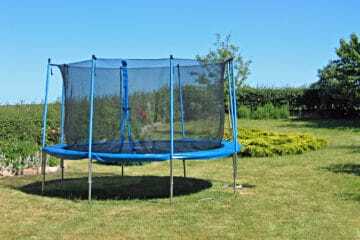 Its 90-degree rotatable head, safety guard and edge guide help to achieve perfect borders. Unfortunately, the included nylon blades are not the most durable, usually needing to be replaced after each use. Some customers found that the batteries lose their ability to hold charge rather quickly. Luckily, the Garden Gear Cordless Strimmer comes complete with a charger, charging base and a spare pack. The inclusion of a spare pack offers the option of continuous use by keeping one pack on charge while the other is being used. 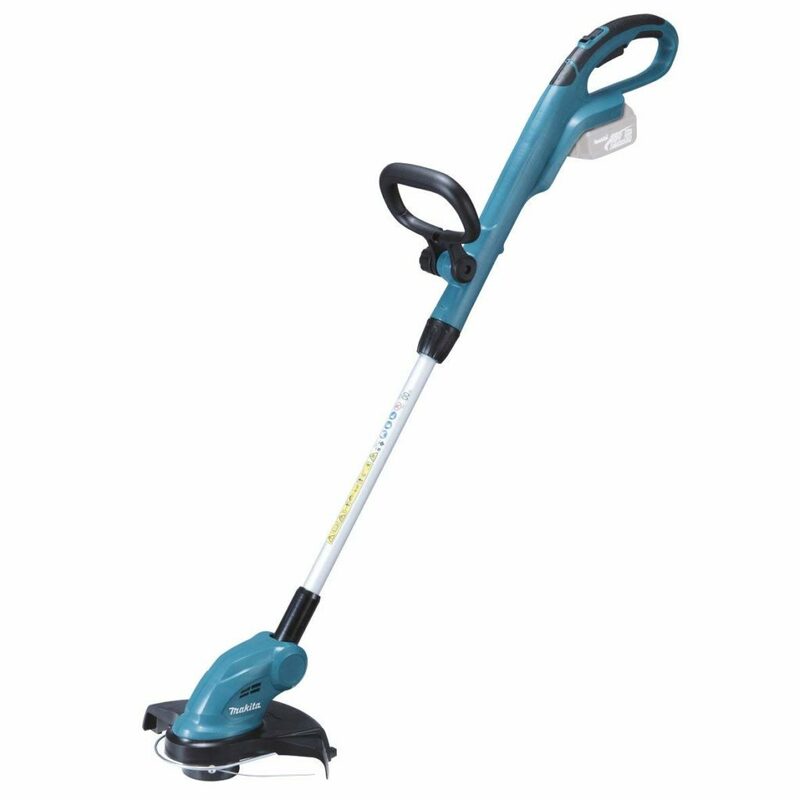 The Makita DUR181Z 18V Body Only Cordless Trimmer makes tackling your jungle of a garden a breeze. This product has a pivoting head, angle adjustability, 26 cm width and an impressive 7,800 rpm cutting speed. It is important to note that this trimmer is sold as “model only”, which means it is supplied without a battery. It is however compatible with 1.5, 3.0, 4.0 and 5.0Ah lithium-ion batteries, which are generally easy to source. A 3.0Ah lithium battery should provide around 45 minutes runtime. Once fitted, the battery sits underneath the handle, in a position which reduces strain and fatigue during use. The battery is protected from high temperatures, over-discharge and overload currents by the built-in protection circuit. When power begins to run low, a warning light notifies the user they need to recharge. That means you will never be caught by surprise halfway through the lawn. The Makita DUR181Z 18V Body Only Cordless Trimmer cuts using a nylon cord spool. Should you need to dispense more cord, simply “bump” the head onto the ground to initiate the cord feed. If you need to tidy up over-growth in cramped areas, the cutting head can be adjusted to 5 different positions, allowing freedom of movement to reach small spaces. However, some people found that the head was prone to getting stuck in one position. A great choice for gardeners that are tall, this cordless trimmer also offers a telescopic shaft which can extend between 123 and 143 cm to allow better posture during use. 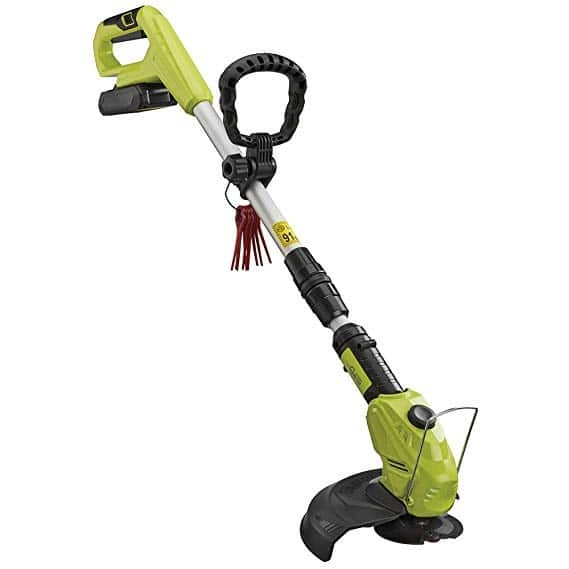 The Ryobi OLT1832 ONE+ Cordless Grass Trimmer offers a versatile and efficient solution to challenging overgrowth. Having a cutting spool width of between 25 and 30 cm, this acid green cordless trimmer enables you to slice through large areas fast. The width can be conveniently adjusted as required, allowing a high degree of control over the trimming action. Switching between trimming and edging is also super-easy thanks to innovative EasyEdge technology. Simply press the button on the cutting head to swap from one mode to another, without having to interrupt your flow or use any additional tools. Some people found this model to be quite loud for residential areas, though. An additional useful feature of the Ryobi OLT1832 ONE+ Cordless Grass Trimmer is the inclusion of a plastic shaft protector. Not only does this protector defend the user from flying debris, but it also keeps the auto spool wire at the optimal length. Reaching tight spots is no trouble with this trimmer. The cutting head can be set to three different positions, so you can get up close where it’s needed most. 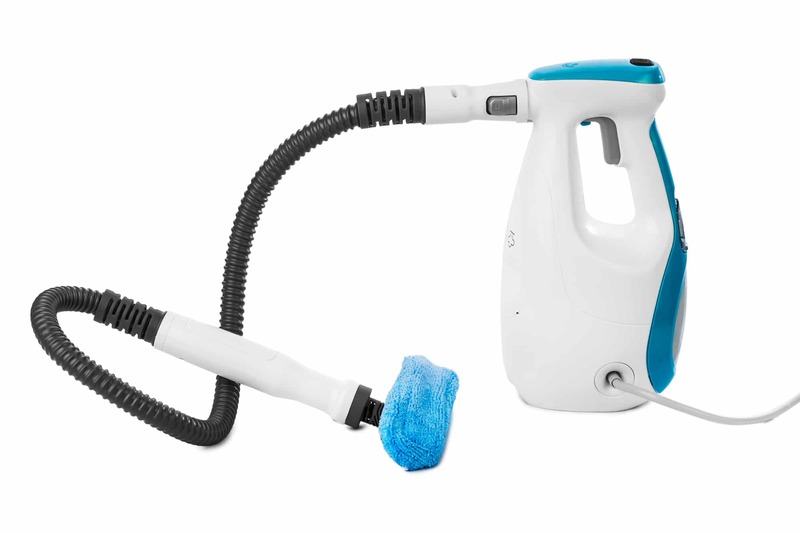 An adjustable telescopic handle and boom allow for comfortable handling for all users of different heights. As this model is part of the wider Ryobi ONE+ tool system, it is supplied without a battery or charger. These will have to be purchased separately. The VonHaus 7.2V 2 in 1 Grass and Hedge Cordless Trimmer is the most multi-functional trimmer on our list. 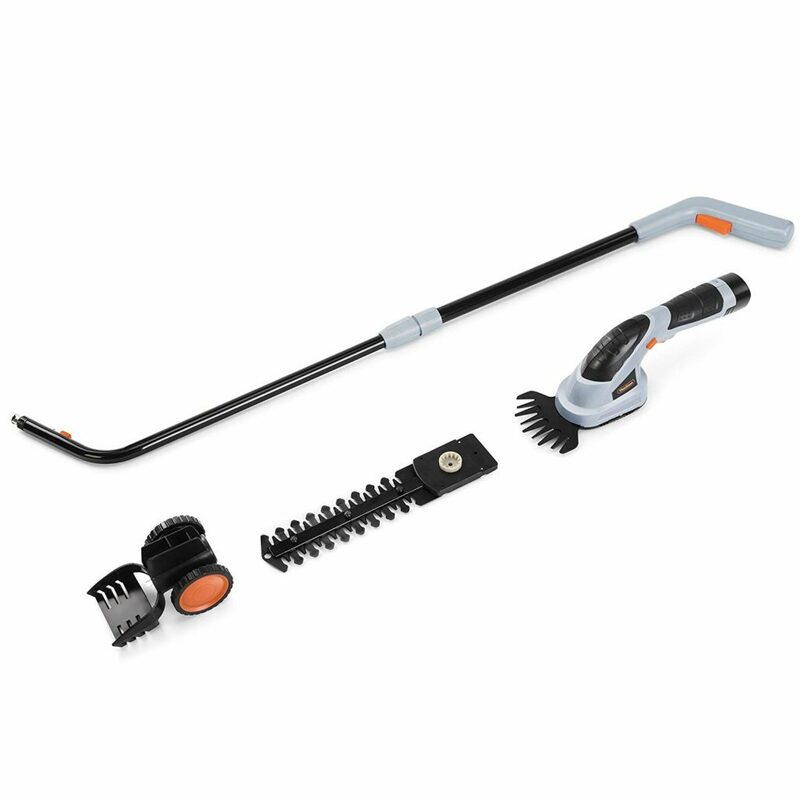 Showcasing its easily interchangeable blade attachments, 8 swivel positions and 360-degree trimming, this product can tackle a wide variety of garden challenges without the need for multiple devices. Both blade attachments can be connected and disconnected without the need for additional tools. The handheld hedge trimmer is 170 mm, while the grass cutting blade attachment is 100 mm. Simply attach the trolley wheel and telescopic handle to convert into a fully functional grass trimmer in moments. Whilst the multifunctionality of this product is attractive, some people found it heavy to use as a hedge trimmer, and that the blades struggled to manage wet, tall or thick grass. 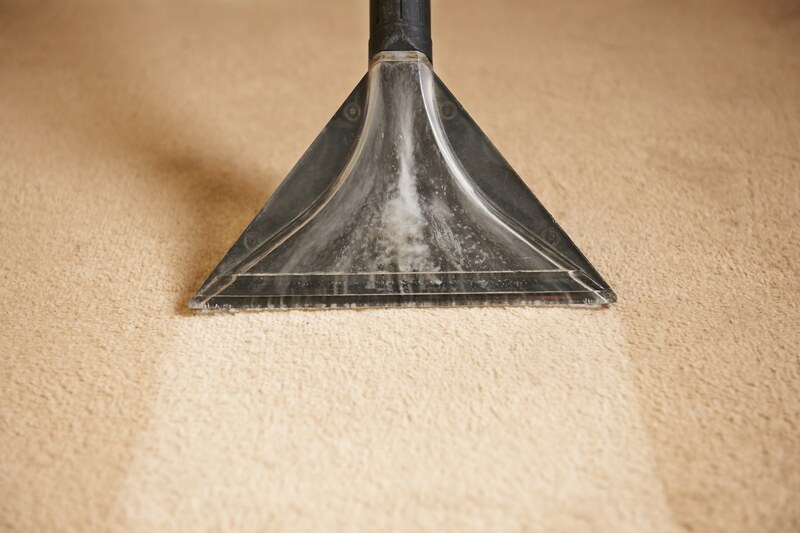 On this basis, it is likely best suited for lighter tasks, such as regular trims. 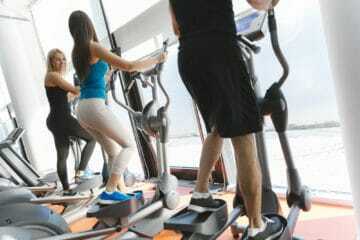 The battery reaches full charge after 5 hours, offering around 50 minutes run time at full capacity. This should easily be enough time to finish tidying up a standard sized garden without any rush. Unfortunately, the battery life has been reported to diminish over time. The Worx WG163E.1 18V 20V Max Grass Trimmer Cordless is another super functional cordless trimmer, showcasing an incredible 3 tools in 1 for the ultimate in gardening bliss. Combining a mini-mower, edger and grass trimmer into one device, the Worx WG163E.1 allows the user to switch between cutting modes quickly and easily, without having to stop and take it apart. As if this wasn’t convenient enough, any interruptions to your trimming are also thwarted by the ‘command feed’ function. If you feel the need for more cutting spool, simply press a button to instantly dispense more as required. The cutting range for this trimmer is a generous 30 cm. A fully charged battery will last around 40 minutes. 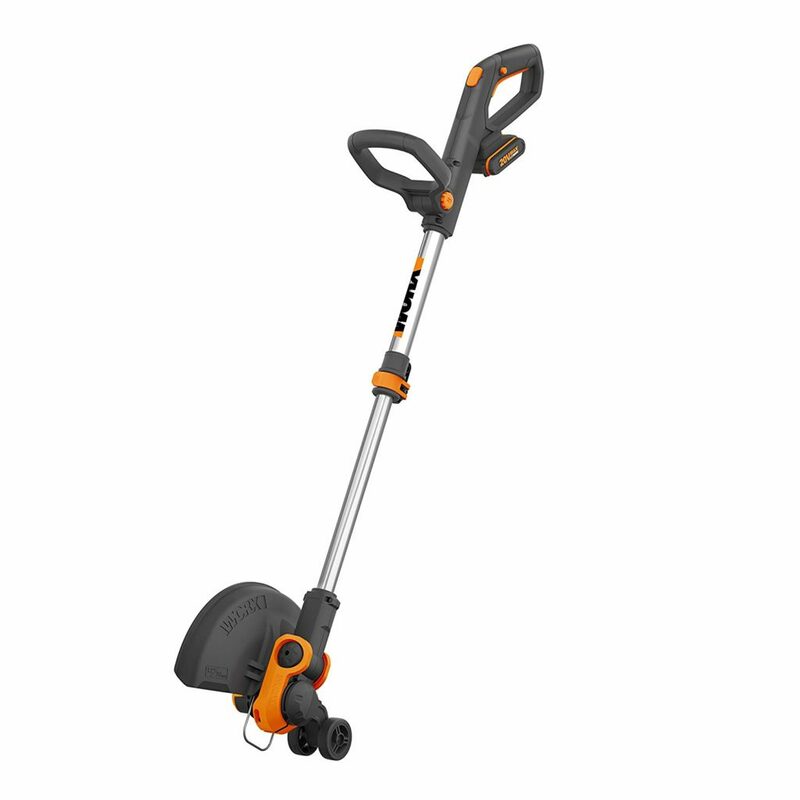 The head of the Worx WG163E.1 18V 20V Max Grass Trimmer Cordless can be easily angled anywhere between 0 and 90 degrees, so working under garden furniture, hedges or sloping lawns is a piece of cake. Two wheels are attached to optimise manoeuvrability and balance when cutting precise edges along footpaths or flowerbeds. The Contour Cordless XT Battery Grass Trimmer and Edger is a great choice for small to medium sized gardens. 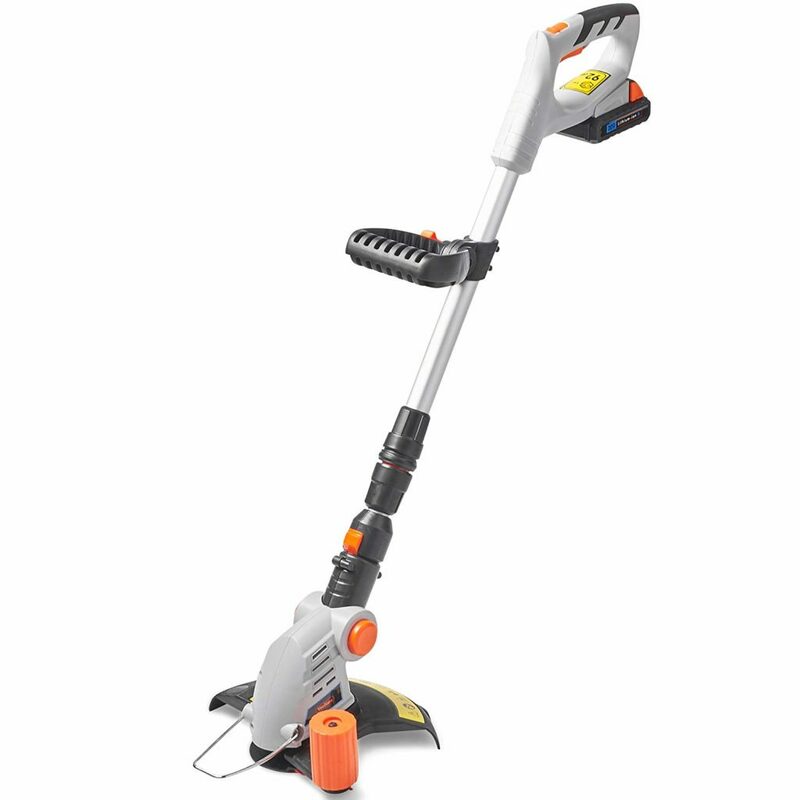 Offering a 25 cm width and adjustable handle, this lightweight trimmer also has a useful edging mode and wheel which can be rotated into numerous positions; thus assisting the user to achieve a perfect result every time. Favourite flower beds and shrubbery will be adequately protected during use thanks to the built-in plant guard. This also helps to defend the cutting line when working close to the edge of a wall or fence. Moreover, you won’t need to worry about disturbing the neighbours with this strimmer. Noise is kept to an absolute minimum during operation thanks to the 1.5 mm single auto line. 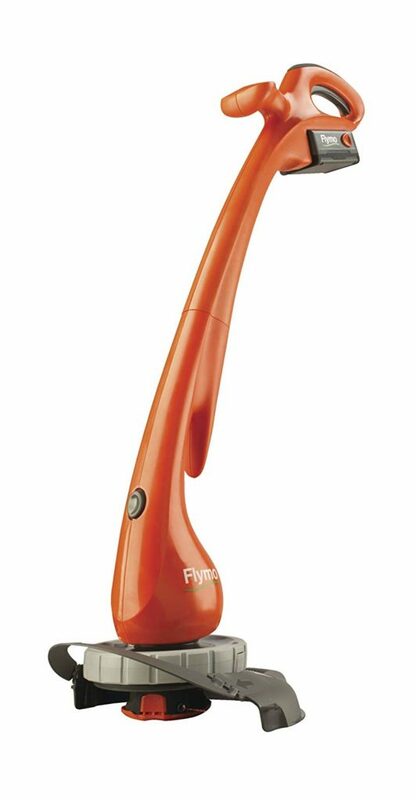 Unlike the other battery strimmers we have seen so far, the Flymo Contour Cordless XT uses a nickel metal hydride (NiMH) as opposed to lithium-ion. Unfortunately, these tend to be quite expensive to replace, and users mentioned that even though they take some time (up to 6 hours) to fully charge, battery life isn’t the best. 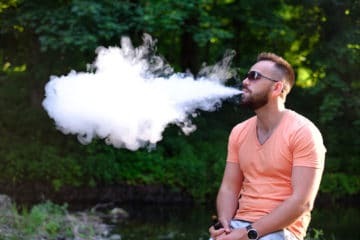 Most people would rather sit back, relax and have some iced drink from their best juicer rather than do some domestic landscape maintenance. Tools like pressure washers and cordless trimmers are designed to help homeowners get the job done and cut work time immensely. Here are some of the most important factors you should consider when you buy a cordless strimmer. 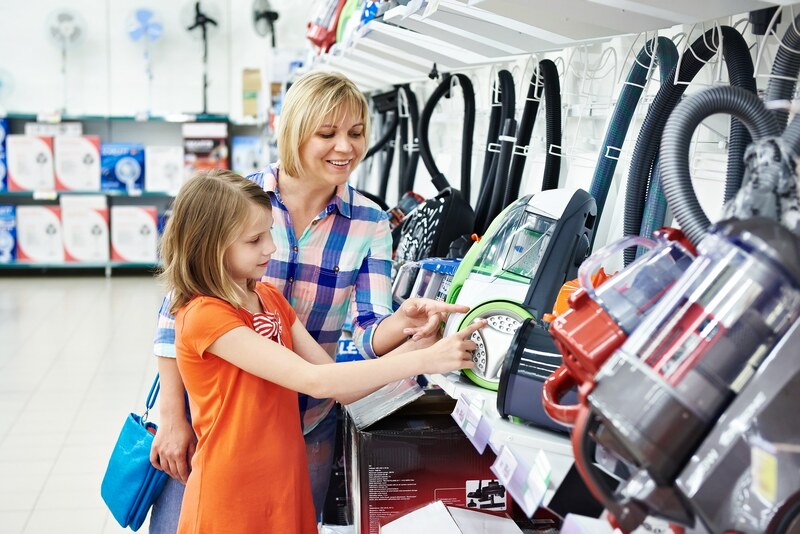 When it comes to a rechargeable strimmer, most are powered by lithium-ion batteries. 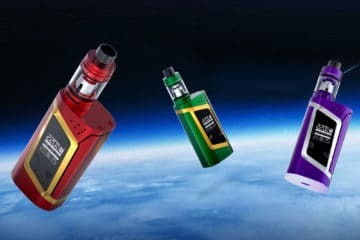 These batteries are considered to be the best choice over other options, such as nickel metal hydride (NiMH) or nickel cadmium (NiCAD) batteries. Lithium-ion batteries are able to hold their charge for longer when stored, without dissipating power. 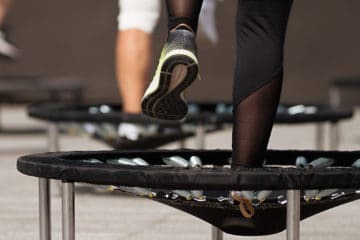 They are also capable of being charged whether they are completely flat or not, without the risk of causing damage to the cells. Lithium-ion batteries are also much easier to source. Voltage is another consideration. The higher the voltage, the more powerful the strimmer. This should be considered alongside the Amp Hour rating (Ah), which determines how long the battery will last between charges. The higher the number, the longer it will last. This is a definite advantage when you are fighting a large, overgrown garden! If you have more than just a lawn to take care of, you may wish to consider a versatile cordless grass strimmer that can deal with hedges and edging too. Some models will come with extra blade attachments for hedge trimming. Others will also have wheels and special settings for a precise cut along walls and fencing. It is worth bearing in mind that multifunctional models may not excel at any one function, though. 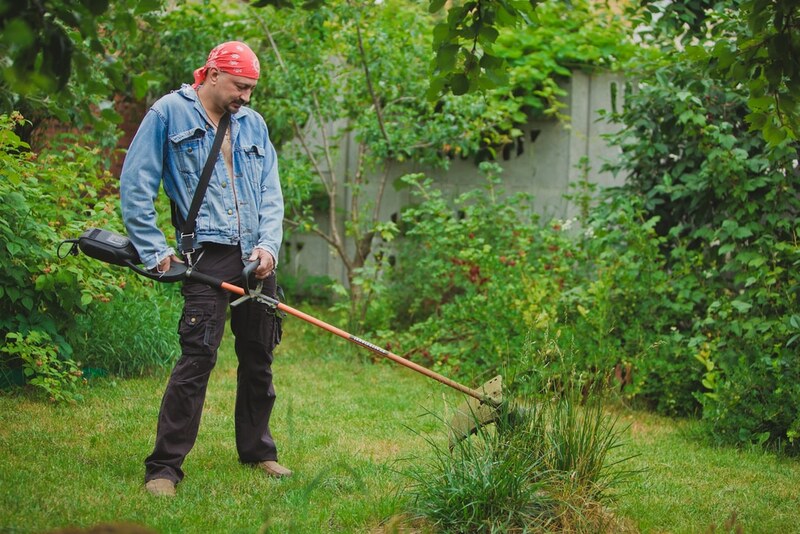 These types of cordless trimmers are usually best used for regular and light maintenance, rather than heavy-duty work. The type of cutting method is also important. Most trimmers will use nylon cord or nylon blades to slice through foliage. Cord tends to have a wider reach and is designed to snap should it encounter anything hard, whereas nylon blades will chip and wear. Many manufacturers will offer their own replacement blades or cord. Bosch strimmers are known for this. Lastly, when looking at cord cut trimmers, it is worthwhile considering the mechanism for feeding out new line as it wears down. This is usually one of the following three options below. Bump Feed – Strimmer head is “bumped” on the ground by the user to dispense more cord. Manual Feed – User must stop the machine and pull out more cord themselves before restarting. Automatic Feed – Strimmer detects when more cord is required, or the user presses a button to release more cord. This is the best option for convenience and speed. As with any product, ease of use is a major deciding factor for most people and cordless trimmers are no exception. 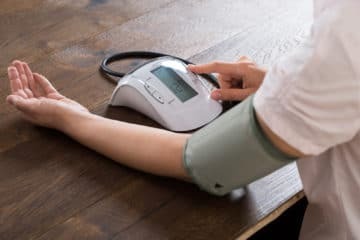 Many of us will have heard of someone pulling a muscle or straining their back due to wrestling an unwieldy tool in the garden, so it is important that you get a new strimmer that will not leave you feeling sore the next day. Lightweight options help to avoid fatigue for senior people or those who have larger gardens. Telescopic extendable shafts are also a common feature, but the lengths can vary dramatically. If you are an individual on the taller side, it is certainly worth it to get a model which has greater adjustability to avoid back strain. Back strain can easily happen when you bend over an extended period. 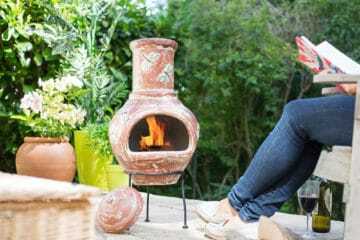 Additionally, a few trimmers offer adjustable heads which can be angled through 90-degrees to allow more comfortable access to tighter areas like under hedges or decking. All of the cordless trimmers in this review would make great choices for all but the wildest of gardens. 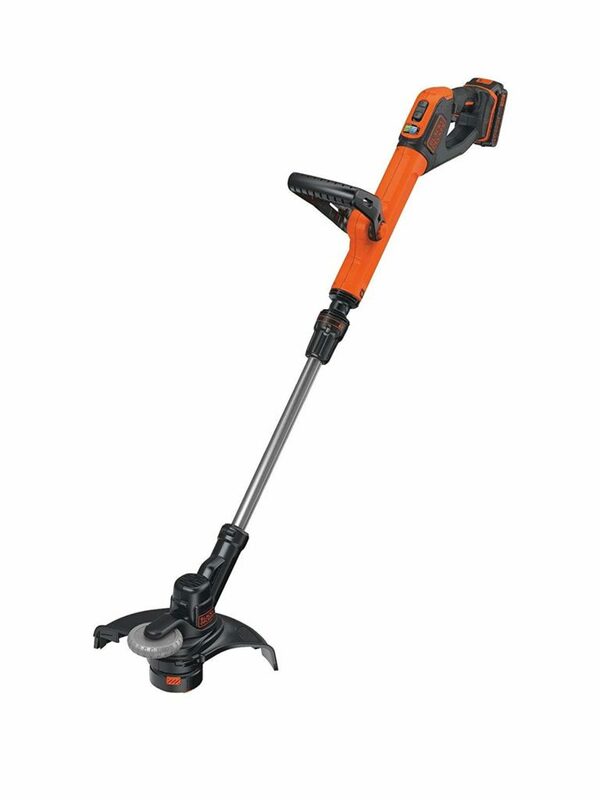 However, if we had to decide upon a favourite, it would have to be the BLACK + DECKER 36V Lithium-Ion Strimmer. As the best cordless strimmer on our list, we love how this model offers two power modes and can obliterate up to 3,750 metres of growth in one charge. The generous 30 cm cutting width is backed up by its high torque ‘E-drive technology’, which enables you to battle through dense, tough growth without shuddering to a halt. As if this wasn’t enough, it also features an auto feed system and is amazingly lightweight at only 3.5 kg. Overall, we think that the BLACK + DECKER 36V Lithium-Ion Strimmer is truly the best garden strimmer for keeping your garden looking its best.